Ok, so I don’t know a lot about horses. I know they are amazingly magnificent creatures. I have a feeling that our railway tracks are comparable to their behinds. But I am totally sure that they are intelligent and have been such a boon to civilisation as we know it. I like them! Together with K J Artistry we ran a competition for a Makeover and Dream Photography shoot, and lucky for us all the gorgeous Kathryn won with her dream to take the “particularly handsome’ stallion Vegas to the catwalk (of sorts). 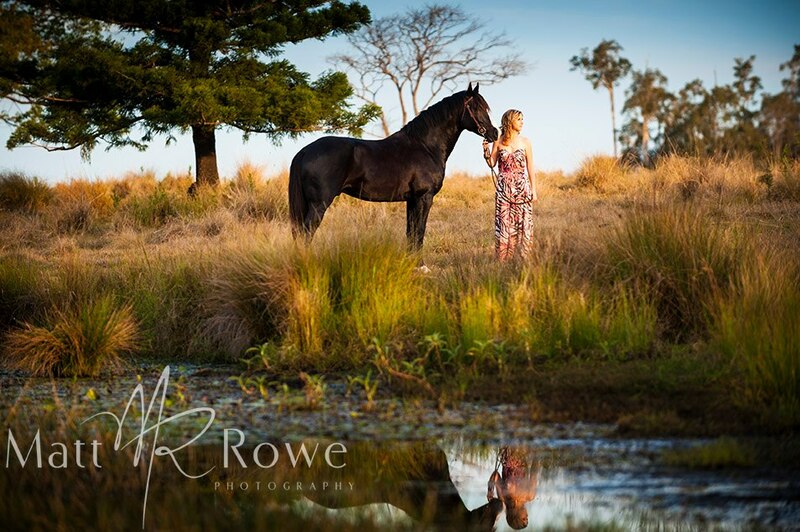 Yandina Station became the most lovely backdrop for our dream shoot. Genuine people in love just rock our boat. Naomi and Des tied the knot in a stunning ceremony on Stradbroke Island. With community spirit, awesome friends and family and a dash of the legendary prankster jokes from the groom himself, this wedding was lovely and lively! A seriously fun and gorgeously in love couple!